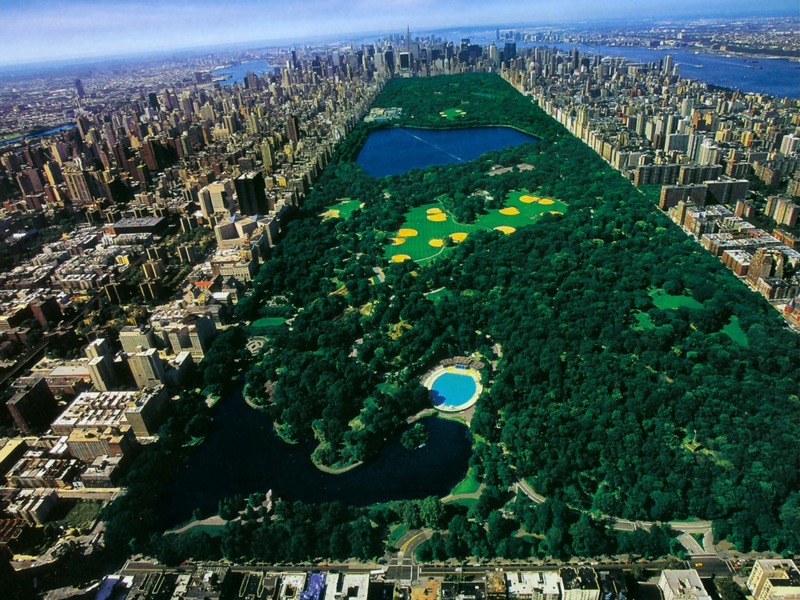 Central Park is situated in the middle of Manhattan in New York City. It is 4 kilometers long and 0.8 kilometers wide. 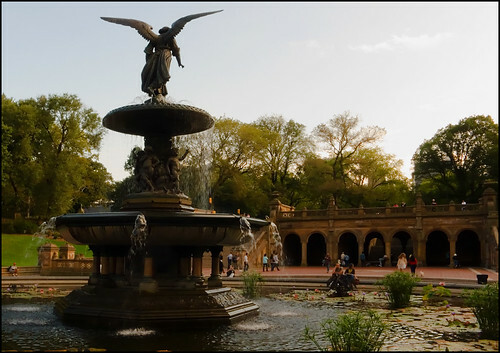 The streets which border the park are 110th street , 59th street , 8th Avenue but along the park they are better known as Central Park North, Central Park South and Central Park West. Along the eastern side of the park, Fifth Avenue, on which the Metropolitan Museum is situated, keeps its name. 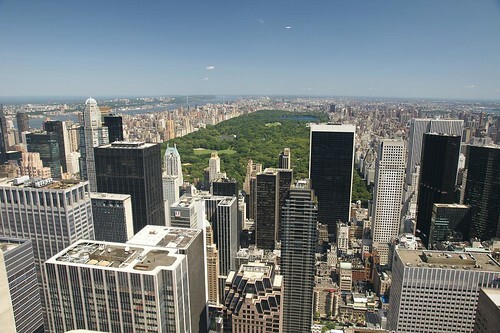 For a better view of the park and the south of Manhattan, click HERE. 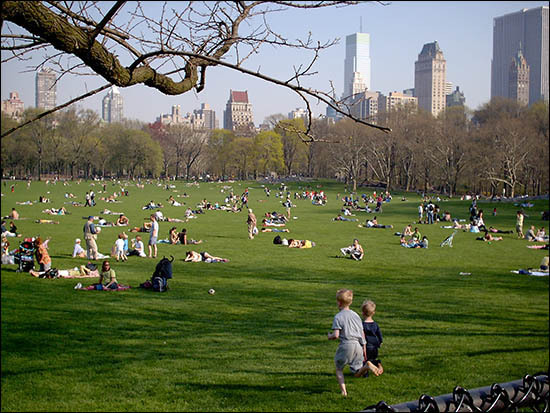 While much of Central Park looks natural, it is in fact almost entirely landscaped. 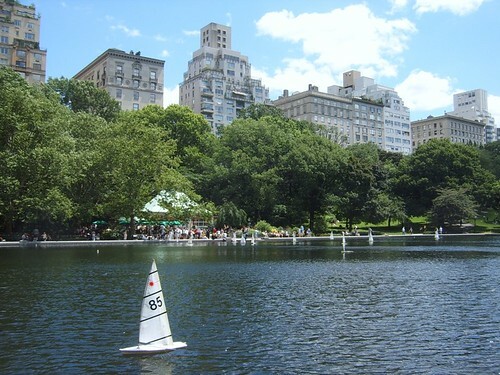 It contains several natural-looking lakes and ponds, extensive walking tracks, bridle paths (= pistes cavalières), two ice-skating rinks (= patinoires) (one of which is a swimming-pool in July and August), the Central Park Zoo, the Central Park Conservatory Garden, a wildlife sanctuary, a large area of natural woods, a 106-acre (43 ha) billion gallon reservoir with an encircling running track, and an outdoor amphitheater called the Delacorte Theater which hosts the « Shakespeare in the Park » summer festivals. Indoor attractions include Belvedere Castle with its nature center, the Swedish Cottage Marionette Theatre, and the historic Carousel. 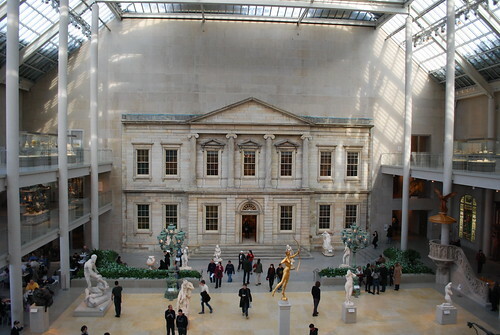 The Metropolitan Museum of Art, known colloquially (= familièrement) as The Met, is an art museum located on the eastern edge of Central Park, along what is known as Museum Mile in New York City. It has a permanent collection containing more than two million works of art, divided into nineteen departments. The main building, often referred to simply as « the Met », is one of the world’s largest art galleries; there is also a much smaller second location in Upper Manhattan, at « The Cloisters« , which features medieval art. Represented in the permanent collection are works of art from classical antiquity and Ancient Egypt, paintings and sculptures from nearly all the European masters, and an extensive collection of American and modern art. 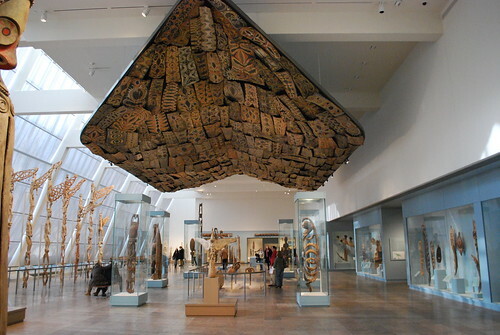 The Met also maintains extensive holdings (= collections) of African, Asian, Oceanic, Byzantine, and Islamic art. 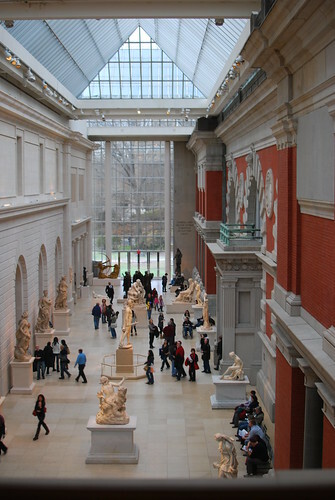 The museum is also home to encyclopedic collections of musical instruments, costumes and accessories, and antique weapons and armor from around the world.A number of notable interiors, ranging from 1st century Rome through modern American design, are permanently installed in the Met’s galleries. Have a look at the website of the Metropolitan Museum. This entry was posted on mars vendredi, 2010 at 20:07	and is filed under Civilization, Terminale, USA. You can follow any responses to this entry through the RSS 2.0 feed. You can leave a response, or trackback from your own site.